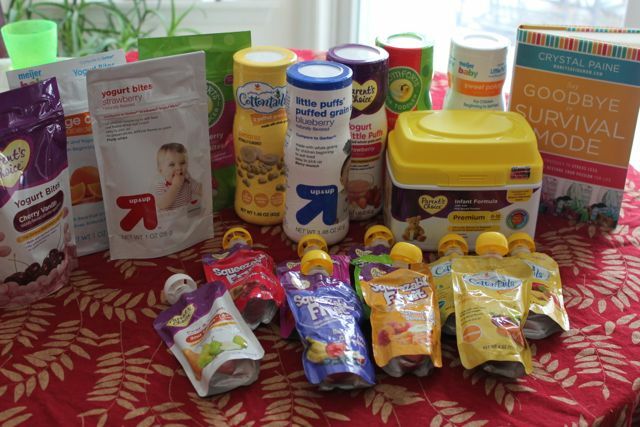 » Win a Basket of Baby Food! Home » Contest » Win a Basket of Baby Food! Win a Basket of Baby Food! This fun selection of baby food arrived at my door from Perrigo Nutritionals! I bet you’re wondering who that is. 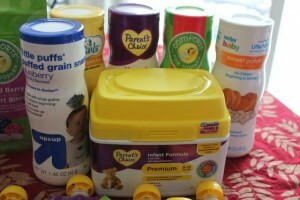 Perrigo Nutritionals is the company behind many of the store brand baby food products. They are actually the largest supplier of store brand infant formula and baby foods in the WORLD. Wow! Pictured here are store brands from Walmart, Target, Stop & Shop and Kroger. 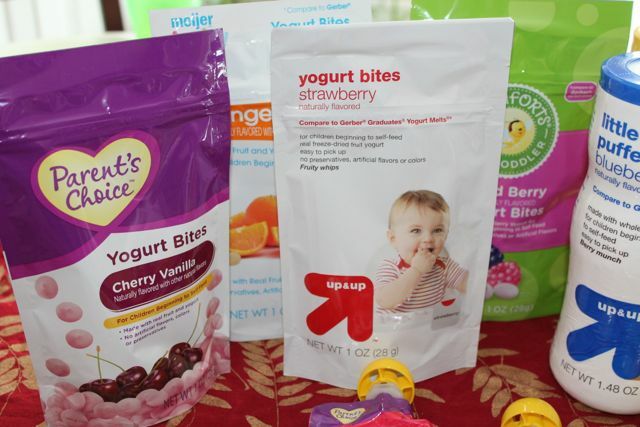 I admit, I tend to be a name brand shopper when it comes to baby food but my baby has been gobbling these yogurt bites right up! And she loooves the puffs and all the the flavors they come in. In addition to the baby food, I also received a copy of the lasted book from my favorite blogger, Crystal Paine from www.MoneySavingMom.com, Say Goodbye to Survival Mode! 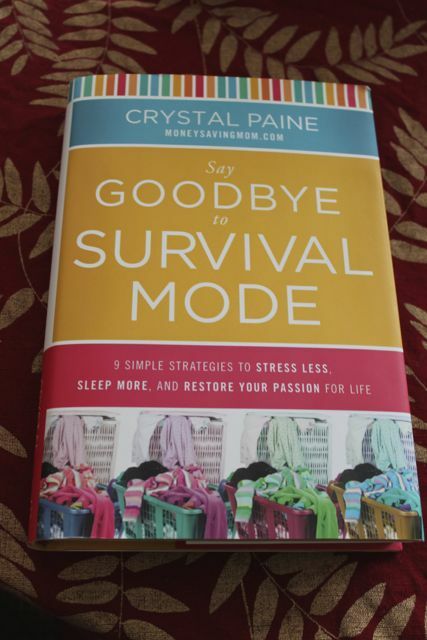 While I love Crystal and follow her blog, I was still surprised by how many new things she had to share in this book. Say Goodbye to Survival Mode: 9 Simple Strategies to Stress Less, Sleep More and Restore Your Passion for Life is essentially a time management book but it’s simplified, real and much easier to implement than many would expect. I highly recommend it- and so do 225 reviewers who gave it 5 stars on Amazon! And while both my baby and preschooler have enjoyed sampling all these baby foods and I have enjoyed reading the book, I am even more excited to be able to give the same gift package away to one lucky reader!! Enter HERE on my giveaways page by April 19th to have the same package of baby food and Crystal’s book arrive at your door! The Perrigo Nutritionals product, information and two gift packs have been provided by Perrigo Nutritionals.